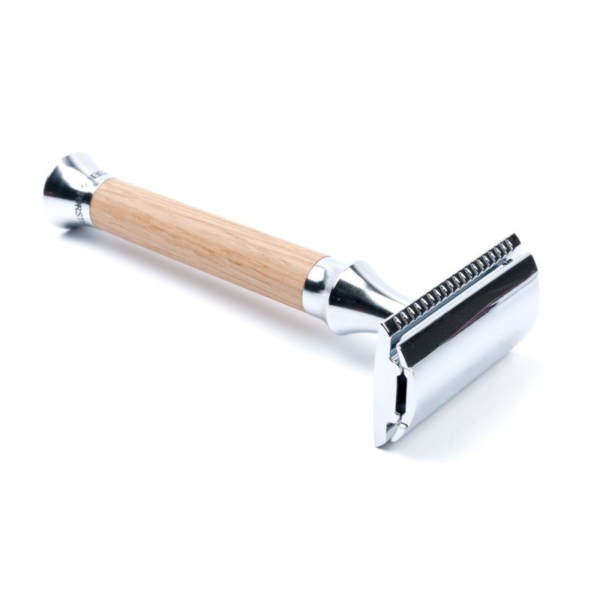 The Timor Vintage edition oak safety razor, will give you the closest shave you could want. 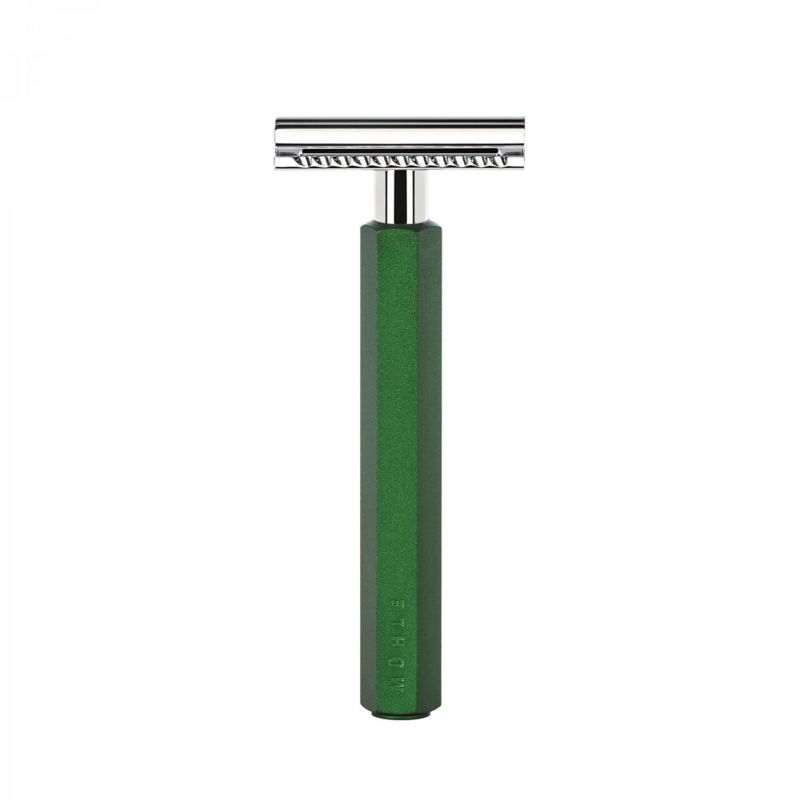 Also this 100 mm safety razor has a 72 g weight, due to It’s Oak shaft. 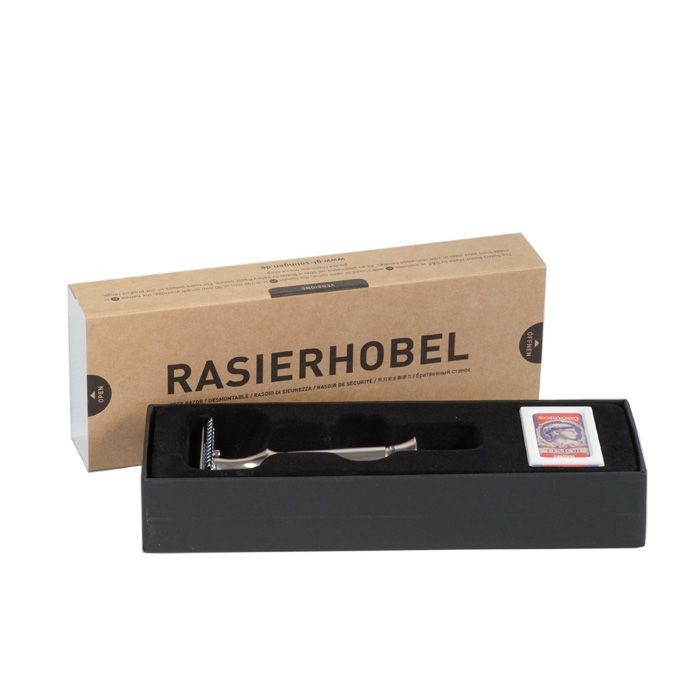 The base and head Is zinc making this a very unusual safety razor Indeed, by the 100 year old company. It’s middle aggressive head takes DE blades. 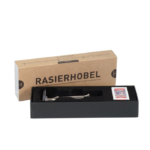 Inside It’s box you will find 10 premium Timor blades lasting on average 6 shaves each. Also as this Is a strong razor that Is larger, you will obtain more control and grip with your hand. 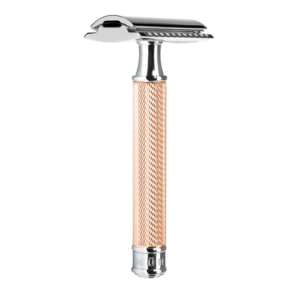 We love It’s design, the diamond shaped zinc neck clasp really gives this razor form. Also notice the pommel, which has this awesome brands name cast Into It. 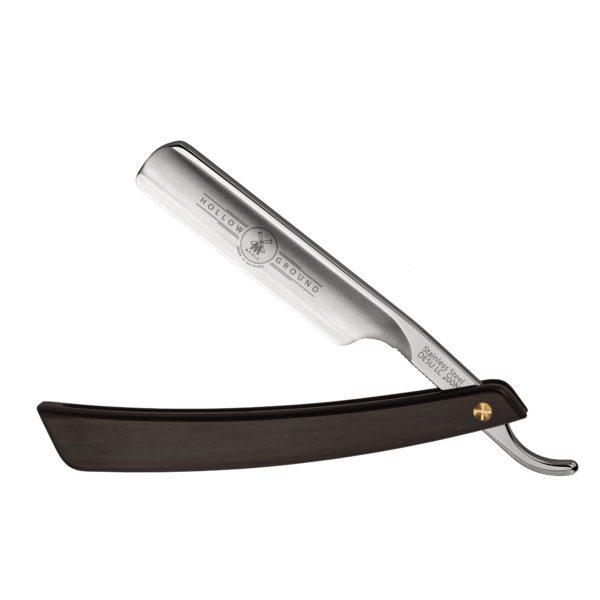 A common question we get about traditional shaving Is, Where do I get spare blade? Well we have 8 varieties on the site for you to try out. A part of the fun Is using different brands and finding the ones for you. The Timor Vintage range uses high end woods and metals, setting It apart from other brands. This Is a razor for life and a potential heirloom. Made In the heart of Germany’s ancient metal region, by this 1919 first formed company. Also we have loads of great advice on our blog about shaving for you to get some hot tips. Not to mention loads of product reviews. We try our products and we hope you would trust our opinion. UK free delivery Is yet another perk of using the most honorable Institution that Is Edwards traditional shaving. We also profess to know our stuff so please test our knowledge, with any question you may have about our wonderful Industry.